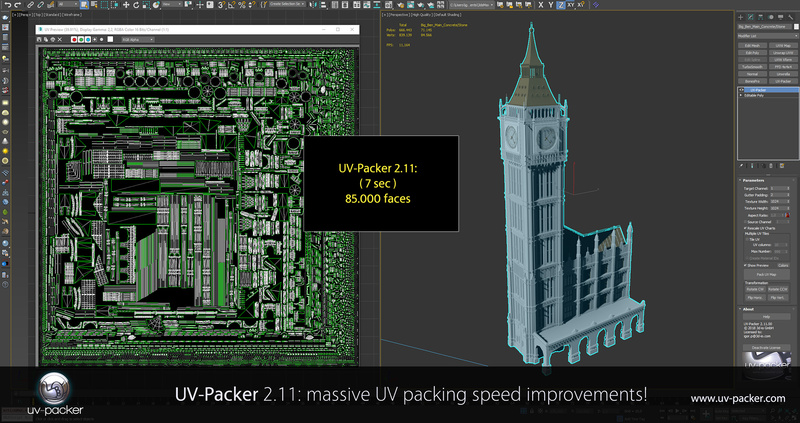 We invite all our customers and users to download the latest version of UV-Packer, our optimal UV-packing solution for Autodesk 3ds Max. Several weeks of research and development gave us brand-new methods that increase productivity. The latest build of UV-Packer includes numerous optimizations that increase UV-packing speeds immensely. UV-Packer 2.11 beats most current UV-packing solutions in both stability and speed, often delivering results 12 times faster than the competition. Most importantly: UV-Packer 2.11 packs half a million polygons in less than a minute, something the default UVW packer is unable to do. 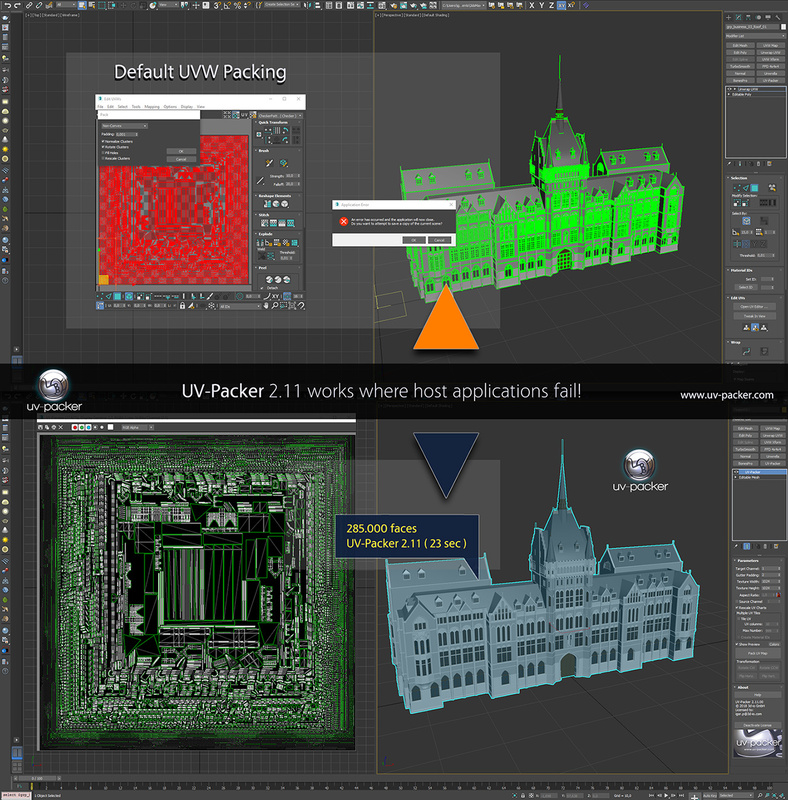 UV-Packer 2.11 is free for all customers and can be downloaded from the customer area. 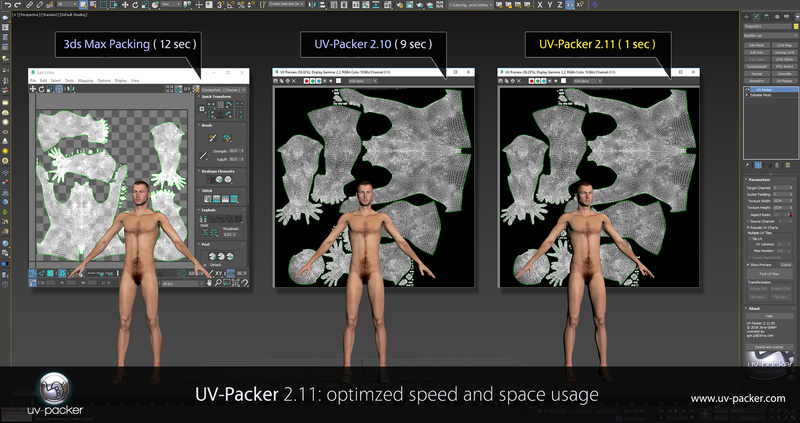 If you still do not own UV-Packer, check the DEMO and compare it to your current workflow speed.